If you are interested in exploring nature on a guided walk, I have selected a few locations from around the region which I find enjoyable and rewarding to visit. Each have different natural features of interest during the year for you to discover and learn about. We can listen to singing woodland birds, search for colourful wildflowers and insects or visit the coast for birds and other sea life. To go on a nature walk with me, please get in touch. If needed I can provide transport for 4 people within a reasonable distance of the walk location or you can meet me there. A locate code is included for use on any modern GPS enabled device (www.loc8code.com). Prices per person depend on group size, starting at €40 for 1 person, €30 each for 2-3 and €20 for 4 plus. Children up to 16 are always €10 each while under 5’s are free. Rates for large groups can be negotiated. I can alter a walk to suit your own ability levels and interests - we can take a shorter easy walk or be more adventurous if you are up for it. In Ireland, the weather will always be a factor in venturing outdoors but I hope that won’t stop you from having a good time. 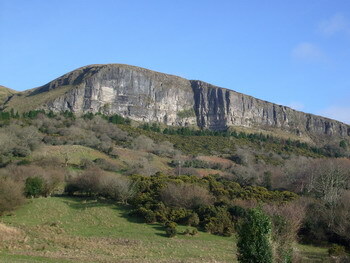 Explore one of the picturesque Glens of Leitrim that is visually stunning and full of natural interest. This glacial valley runs east-west between counties Leitrim and Sligo, carved out of limestone with curious physical features. 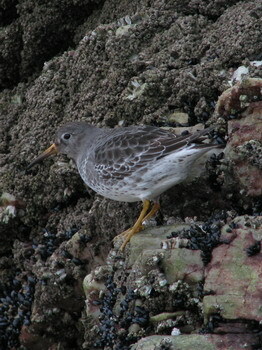 It also holds plenty of wildlife, which you can explore on a guided walk. We can find water birds on the glacial ribbon Glencar Lake before ascending the side of the valley to look for red squirrels, birds and plants of the woodland. 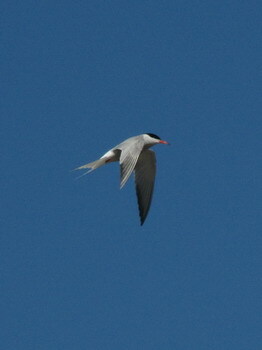 We’ll also look out for breeding choughs or ravens on the cliffs. Enjoy the views from the top of the cliffs of the valley below and nearby features with an optional short walk over boggy ground if you feel adventurous. 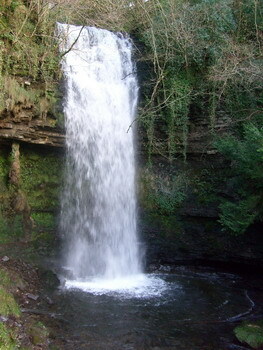 The famous Glencar waterfall is also well worth a visit. 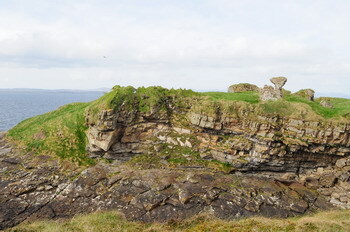 Come and explore the species rich coastal habitats of the Mullaghmore peninsula on the North Sligo coast. Walk through the colourful sand dunes and machair, a unique ecological habitat in the North West of Europe. 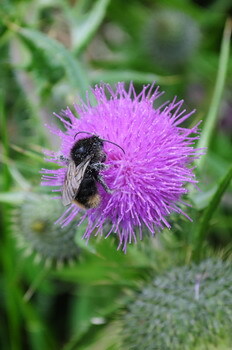 These are home to a diverse range of wildflowers and insects. 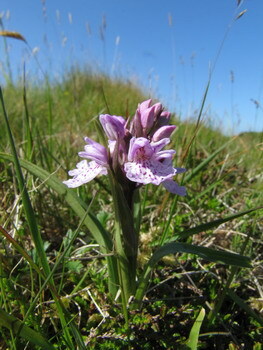 On a nature walk we can discover many of the plant species present including colourful orchids. 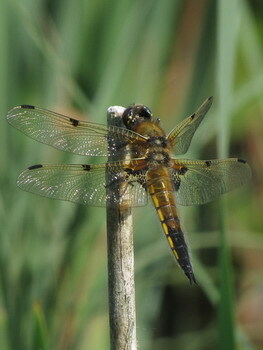 Look out for the insect life attracted to the dunes including butterflies, day-flying moths and perhaps some dragonflies on the shallow Bunduff lakes. Depending on your interests, we can roam around the dunes before moving to the rocky headland to look for breeding seabirds on the cliffs and watch out for nearby dolphins. Ramble along the south Donegal coast, exploring the estuary, coastal beaches and cliffs between Ballyshannon and Rossnowlagh. We can walk the full 10 km along the marked trail or take a shorter route depending on your preferences. On the way we can look out to sea for seabirds and dolphins, watch the nesting Fulmars at close quarters and look around us for butterflies and flowers to identify and enjoy. Transport can be provided at either end to complete the linear coastal walk. 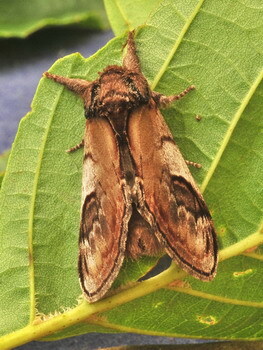 Nearby pubs can provide a meal after gaining an appetite. Wander through the important oak woodlands in the NPWS nature reserve, an uncommon but important habitat in the North West. Nestled among conifers and under Union Rock, there are a series of looped trails we can take to uncover the wildlife present here. 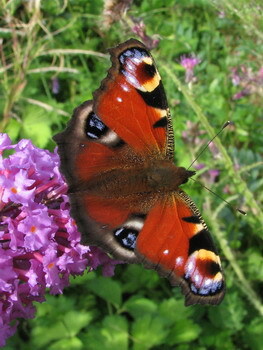 We can search for woodland flowers and insects, look out for resident and migrant birds and maybe spot a red squirrel. 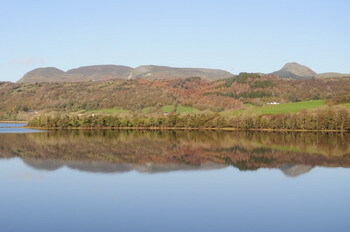 To the east of the wood lies Ballygawley lake, which can be viewed on the long looped walk. Alternatively, we can drive to the lake where a small water’s edge path also allow some good views of birds and dragonflies. Stretching out into the Atlantic Ocean, come on a walk around the rugged headland of St. John’s Point. 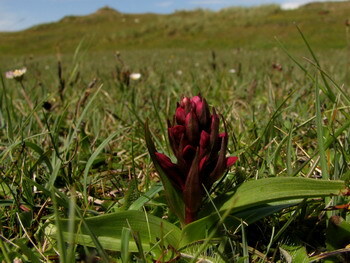 We will venture across the coastal grassland, looking for interesting plants and insects including the protected Marsh Fritillary butterfly that feeds on the abundant Devil’s-bit Scabious plant. As a great sea-watching point, we can also scan the ocean for seabirds and possibly dolphins, porpoise or Minke whale if we’re lucky. The geology of the point is quite fascinating with lots of rock formations, folds and fossils from the carboniferous period. There are also patches of important limestone pavement, the same type of habitat found in the Burren, County Clare. A secluded valley trail will lead you along a refreshing river walk, passing a set of stunning waterfalls. Thought to be one of Leitrim’s best kept natural secrets, the stretch on the Glenaniff river known as Fowley’s Falls are a series of beautiful waterfalls that flow over the flat limestone bedrock. The lush woodland in the deep valley is home to a mix of birds, flowering plants, mosses and ferns. Look out for a dipper feeding in the water or a summer migrant such as the willow warbler singing in the trees. 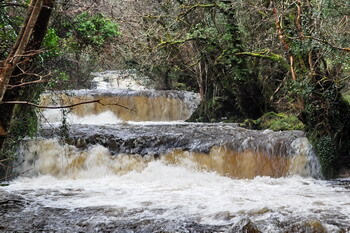 The river is also used by a variety of Brown Trout which swims up from lough Melvin to spawn. We can also drive up to a good panoramic viewing spot nearby above the lough where we can see into four counties. 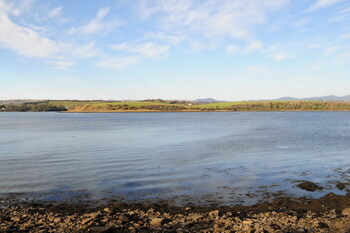 The southernmost of Sligo’s three estuaries is also the largest and provides an interesting mix of habitats to visit. Journey around Ballysdare Bay to seek out the range of birds using this productive ecosystem including shelduck, bar-tailed godwits and red-breasted mergansers. I’ll also show you where the seals rest on the flat sand banks at low tide. 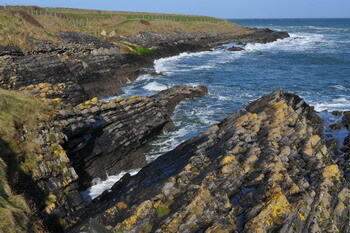 We can also drive to the nearby Aughris Head to go on a cliff walk if you are up for it. 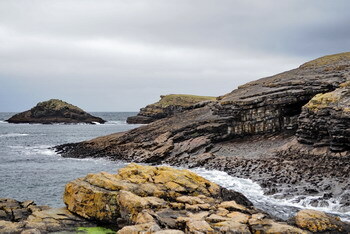 Jutting out into the Atlantic west of the bay, this area is very good for dolphin spotting and also holds a breeding seabird colony during the summer months. This can be reached close up if you feel adventurous in climbing fences and walls; otherwise it can be viewed more distantly. The Beach bar at the head is often a handy stop to refuel at the end of the experience! Discover a complex system of tidal bays and channels in south Donegal that form the inner regions of Donegal Bay. Starting from Donegal town, we can go on a driving and walking tour to work our way around the nooks and crannies of this diverse and picturesque area. Look out for birds along the way such as brent geese, wading shore birds including the greenshank, a variety of ducks and the little egret, which is slowly spreading northwards in Ireland. Further out into deeper water we can search for diving birds, maybe lucky enough to spot a wintering black-throated diver. We can also locate the common scoter raft, which can number over a thousand. Different scoter species could be hiding in amongst them for us to identify. One of three bays situated along the north Sligo coast, Drumcliff is the most northerly and holds an array of wildlife for us to see. We can walk out along the lower rosses sand spit to look for birds and enjoy the views as well as driving around the bay to different viewing points. 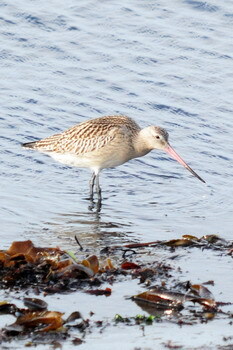 The estuary itself is home to lots of wading birds such as the curlew and redshank. Colourful shelduck feed out on the mudflats while wintering ducks include wigeon and teal. Divers and red-breasted mergansers also frequent the Drumcliff river channel. 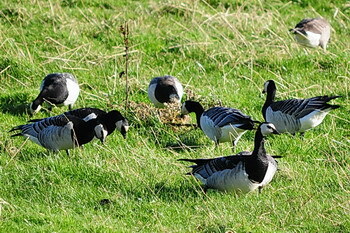 The NPWS Balllygilgan nature reserve on the edge of the estuary holds the internationally important population of Barnacle geese, which fly from Greenland to spend the winter here. This is also one of the best places to find shoveler. The geese often spread out over nearby fields, creating a wild goose chase for us to follow. In north Sligo and Leitrim lie a number of freshwater loughs that are not only set in stunning landscapes but also hold good numbers of wintering and breeding birds. Visiting some of these, we’ll seek out the range of wintering wildfowl including the majestic whooper swan, which breeds in Iceland and diving ducks such as goldeneye, pochard and tufted duck. In spring we can also find some nesting species like the great crested grebe. 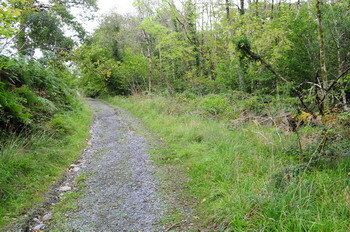 Another option is to come on a pleasant woodland walk along the shore of lough gill, which holds many woodland birds while enjoying views of the lake.